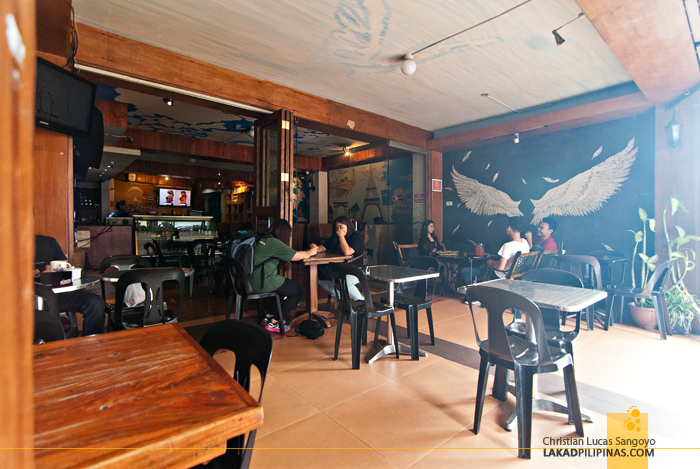 Baguio City has the perfect weather for al fresco dining. But it’s even more perfect for outdoor drinking. 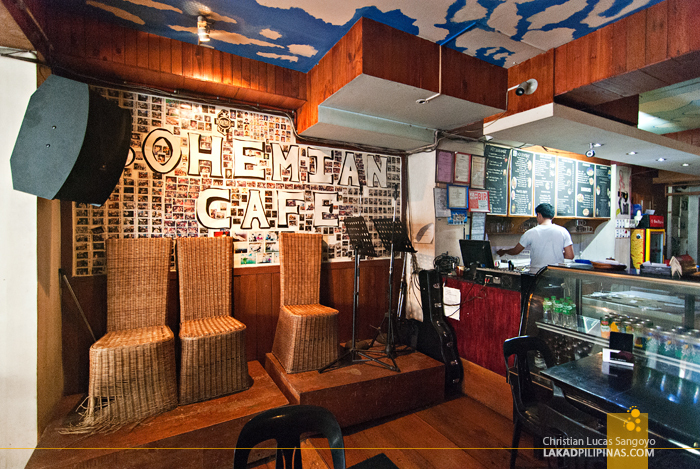 Before discovering 108 Session Road Café, Bohemian Café was our go to place when we wanted a bucket of beer in the City of Pines. 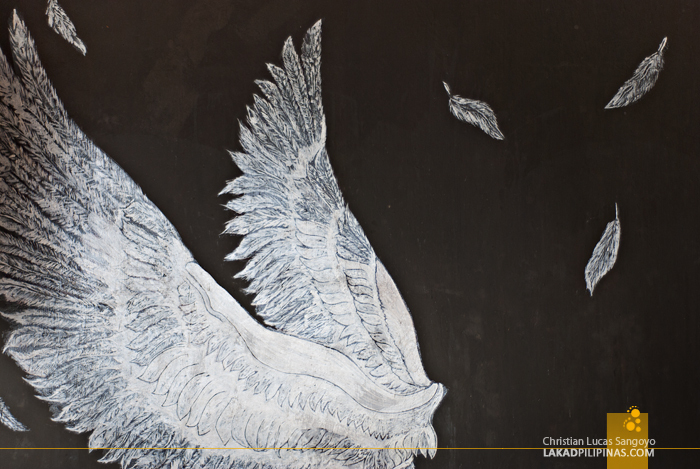 Located at the corner of Lower Assumption and Session Road, its setting is perfect for people watching. We’d usually sit ourselves on its outermost wooden table, almost kissing the sidewalk, before ordering our favorite drink. The street intersecting Session Road is busy enough for an entertaining afternoon session. And yes, we usually frequent this place during the daytime, 108 Session Road Café being still closed during those hours. Bohemian Café’s outdoor area, which is beautifully decorated with flat black walls painted with angelic white wing graffiti, can cram about thirty people max, but they also have a woody indoor space which can seat about… Well, I really don’t know how many since we haven’t really tried dining inside their café. 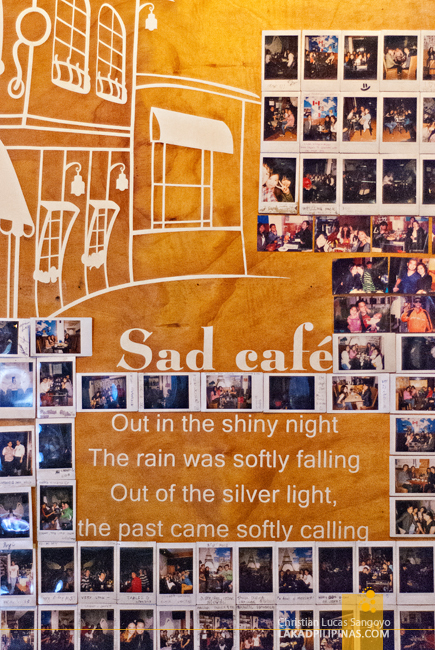 Their interiors are tastefully decorated though, the main wall, where acoustic bands play at night, is set with a wallpaper of polaroid photographs. 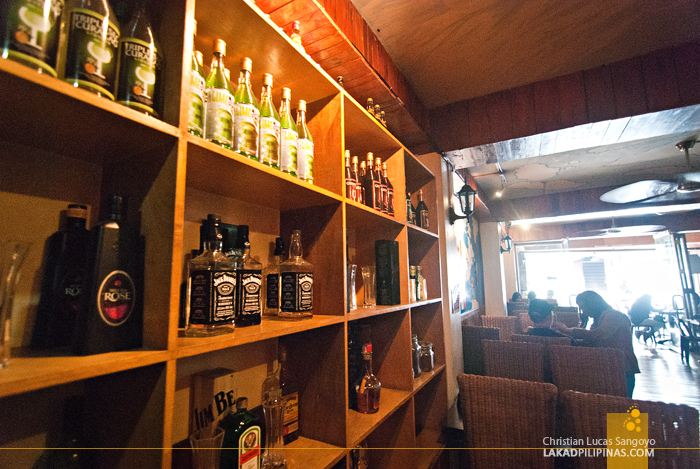 Besides alcohol, they also serve coffee and food—this is still a café after all. On one occasion, just as we were about to leave Baguio City, we tried their dishes, particularly their bistek tagalog and beef salpicao, I think. 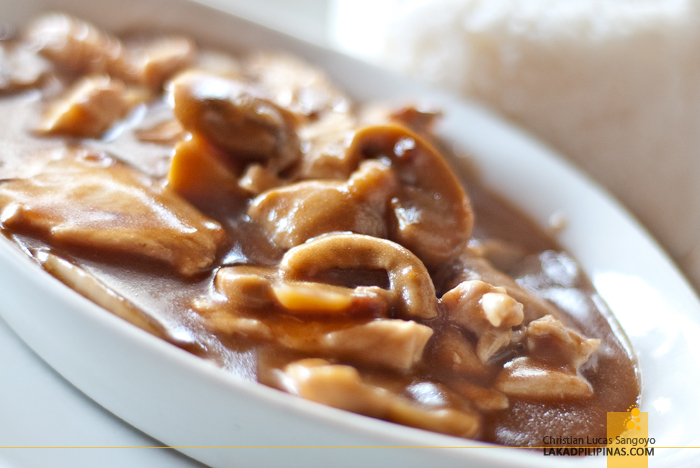 Their rice meals range from PHP120.00 to PHP170.00. And the taste, to be honest, is quite average, but they’re not too shabby either. I guess what draw people to its doors (err, they practically don’t have any doors by the way, as they’re always slid open for that indoor outdoor effect) besides its inclusion on one of the scenes for the That Thing Called Tadhana roadtrip movie, are their beers. They offer Double Chilled beers, similar to the Below Zero experience. Cool weather plus cooler beer, what more can you ask for?